March 6, 2019, Salem Middle School became part of the two percenters. As in the 2 percent of 5,600 schools worldwide that excel at AVID, or Advancement via Individual Determination, a college readiness system. 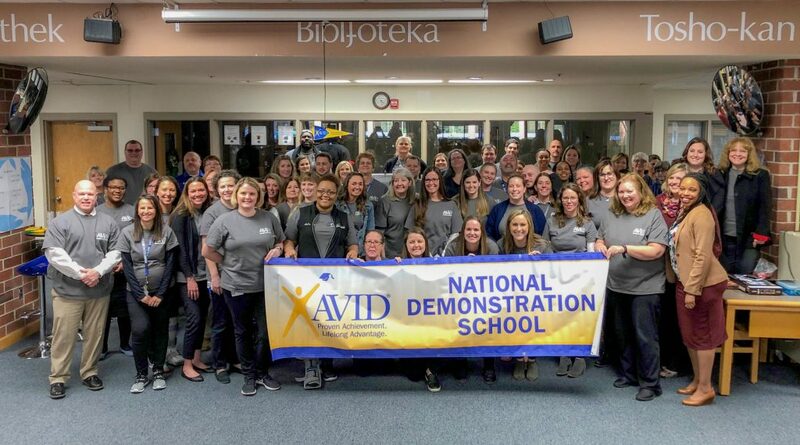 “We are excited to welcome Salem Middle School to our family of national demonstration schools and a center for teaching excellence,” said Dr. Kristen Wellman, one of the cadre of AVID national representatives who came to Salem for the day to make the final assessment. Virginia Beach City Public Schools (VBCPS) started using AVID in 1998. Today, 22 schools use the system, which focuses on four pillars of success: systems, leadership, instruction and culture. AVID also emphasizes writing, inquiry, collaboration, organization and reading (WICOR). 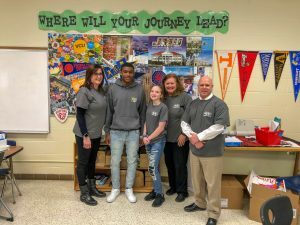 As an AVID National Demonstration School, and the first middle school in Virginia Beach to achieve the honor, Salem Middle School will now host administrators and teachers from other school districts around the country to learn how to implement the program. Smith is excited about the school’s new, national role. Tell your friends! Follow us! © 2011-2019, Virginia Beach City Public Schools. All rights reserved.